Though Clint Eastwood became a legend years earlier, he struggled to find successful projects in the 1980s. However, 1992’s Unforgiven did a lot to return him to prominence, and for the most part, he’s continued to ride that wave over the last 20-plus years. This doesn’t mean Eastwood avoided flops in that time frame, though, as he still experienced the occasional dud. Into that category falls 1999’s True Crime, a movie that received mediocre reviews and bombed at the box office. While I suspect I saw Crime theatrically, I maintain no memory of the film, so I figured this Blu-ray offered a good chance to give it a look. 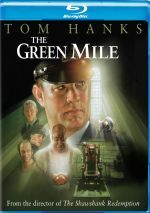 Convicted murderer Frank Beechum (Isaiah Washington) resides on death row and stands to be executed in a short period of time. After another reporter dies in a car crash, journalist – and recovering alcoholic - Steve Everett (Eastwood) gets the assignment to write a “human interest” story about Beechum’s final hours. Matters explode when Everett meets Beechum and strongly suspects the inmate didn’t commit the crime for which he stands to die. Everett races against the clock to exonerate Beechum before the execution occurs. 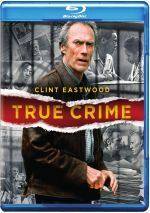 As I viewed the Blu-ray, I realized that I did see True Crime during its initial run – and I also figured out why I forgot I’d done so. While not without any entertainment value, Crime is too long and too predictable to stick in the memory. Given Eastwood’s talents, I’m surprised he’d create a film with so little subtlety. Crime comes with a clunky script that leaves no trite moments unturned. For instance, rather than dispatch reporter Michelle Ziegler (Mary McCormack) in a logical manner, it throws so many goofy clichés at us that the car crash sequence provokes laughs. Matters don’t improve from there, as the screenplay veers from one poorly executed moment to another. The film often grinds to a halt to editorialize, and it beats us over the head with poorly developed expositional moments. For example, when we learn of Steve’s past/flaws, it truly feels like the characters read from a script – there’s nothing natural about the way the movie integrates/explains these backstory elements. It doesn’t help that Crime comes packed with unbelievable, contrived dialogue. The scene in which his editor (James Woods) confronts Steve works overtime to throw “clever” lines at us. These bear no resemblance to any way people really speak, which would be fine in a different kind of movie, but the material flops in the supposedly reality-based Crime. Adding to the tedium, Crime runs a good 30 minutes too long, largely due to a slew of unnecessary views of Steve’s personal life, but also because of scenes that make no sense in the larger picture. On two occasions, we spend a few minutes with a crude, overbearing homeless man. Why? I have no idea – the scenes lack any usefulness in the long run. Some problems come from Eastwood’s apparent vanity. I don’t know how old Steve was in the original novel, but I have to guess he was younger, for I find it really tough to swallow the then-69-year-old Eastwood as the easy conqueror of so many younger women. Sure, I can swallow that an icon like Eastwood himself would have this kind of success, but an alcoholic reporter – even one who keeps himself in good shape – won’t have a shot with a hot 23-year-old like Michelle. Sure, she doesn’t sleep with him, but she considers it, and that’s just as implausible. Eastwood lacks much apparent investment in the lead role, so he does little to deviate from his usual traits. The other actors seem competent - except for Woods, who chews scenery and appears to believe he’s in a 1940s screwball comedy. Woods’ performance doesn’t fit the movie at all and he becomes a distraction. Though not a huge one because True Crime suffers from so many other flaws. Contrived, cliché, and predictable, the movie wastes a good cast and a decent premise to become a dud. True Crime appears in an aspect ratio of approximately 1.77:1 on this Blu-ray Disc. This was a generally satisfying transfer. Overall sharpness looked good. Only minor softness appeared so most of the flick was reasonably concise and accurate. Jagged edges and shimmering caused no concerns, and I saw no haloes. Source flaws weren’t a factor. Crime featured a low-key palette with a natural feel. These choices seemed a little flat, but the colors mainly remained fine within the film’s design. Black levels were nicely deep and rich, while shadow detail appeared decent. Some low-light scenes could be a bit murky, but most were fine. This wasn’t a killer presentation, but it usually worked well. In addition, the DTS-HD MA 5.1 soundtrack of True Crime offered a consistently solid auditory environment. Most of the time it featured a fairly strong forward bias. The front channels showed good stereo presence for the music and also added a nice sense of atmosphere. Elements blended together cleanly and also panned convincingly. Most of the time the audio remained ambient, but it created a good sense of place. Surround usage seemed modest but effective as well. More active scenes came to life well, and quieter sequences also demonstrated a fine sense of atmosphere. The soundfield won’t dazzle you, but it worked well as a whole. Audio quality was positive. Speech sounded natural and distinct, with no problems related to intelligibility or edginess. Music showed clean highs and reasonably good bass, though I felt the latter could have been a bit deeper. Effects were also clear and bright, and they lacked noticeable distortion or other flaws. Again, the audio for Crime didn’t stand out, but it accomplished its goals. Two featurettes appear here. The Scene of the Crime goes for nine minutes, 27 seconds and includes notes from director/actor Clint Eastwood and actors Isaiah Washington, Denis Leary and James Woods. The piece looks at story/character areas and cast and performances. Don’t expect much content here, as “Scene” focuses on movie clips and promotion. Next we get True Crime: True Stories. It fills 22 minutes, four seconds with info from journalist Ray Herndon. He talks about a real-life case that resembles the tale told in Crime. Herndon’s comments offer interesting material, but they fill too little of “Stories”, as the featurette loads up tons of movie clips – sequences that offer copious spoilers. I like Herndon’s notes but “Stories” loses points due to the dominance of those film snippets. In addition to the film’s trailer, we find a music video for “Why Should I Care?” by Diana Krall. It’s fairly forgettable as both song and video. Perhaps if True Crime lost a good half an hour, it might be a reasonably effective thriller. At more than two hours, however, the film overstays its welcome and suffers from too many trite moments. The Blu-ray provides pretty good picture and audio as well as minor supplements. Despite a surfeit of talent involved, Crime seems cliché and disappointing.